Many of us plan all year in anticipation of a summer vacation and the opportunity to get away from the responsibilities of home, work, or school. Unfortunately, accidents can happen and things can go awry on your trip, and taking the time to make sure you have a solid estate planning and asset protection plan in place before you go is a smart idea. The following provides some basic advice and tips for protecting yourself and your loved ones while you are away in the event the unexpected occurs. Regardless of your assets or the size of your estate, having a valid will in place is one of the best ways to protect your loved ones if something happens to you. Even if you already have one, it is a good idea to double check it before going on vacation. In addition, if you have small children or are the guardian for disabled or elderly relatives, you need to name someone who can fulfill these duties in the event you are unable to do so. Your existing coverage. Major credit cards often cover lost baggage and damage to rental cars, while your health insurance plan may cover out of network provider costs. The cost and length of your trip. If your trip is for an extended amount of time or a major investment, trip cancellation insurance may be a smart bet. Your health and family needs. If you suffer from chronic health conditions or care for someone with health concerns, it may increase the odds of needing to delay or cancel. 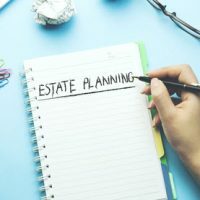 As part of preparing for your vacation, contact the offices of Cavallo & Cavallo to set up an appointment to discuss estate planning and asset protection strategies. We have offices in the Bronx and New Rochelle, and we can advise you in the documents you need to ensure the financial security of you and your loved ones, now and while you are away. Call or contact us online today to discuss your options with our experienced attorneys.